Ever since i got to Berlin, i always counted on my notions of German to get me through what i thought would be a short & fun stay in this beautiful city. I had learned German for a year during high-school. As time went by, the short stay became a longer one, and before i knew it, i had actually settled here. Since it was never the plan to stay here for good, i didn’t take German too seriously but still trying to learn as much as i could to escape the usual expats crowds and discover what was beyond the obvious “scene”. It was never an scholar approach anyway; “Just speak the street-german, you’ll be fine”, i told myself many times. Street-German only gets you so far however, and if i wanted to make a significant step in my personal life and career, i needed to grow up and do something about it. After all, did i not highlight the importance of mastering the language in one of my first posts on this very blog ? Thus, i quickly reviewed the options and the criteria to find the perfect class for me. I finally chose to go with die DeutSCHule. It matched of all of them after asking around. Located at Ubhf – Karl-Marx-Str., i had heard good things about their teachers and that it provided excellent value for the money. It is also a 5 min bike ride from where i live. I signed up for a free 45 min placement for a B2 class which turned-out to be too easy for me so the school allowed me to do the same with a C1 course. It was great decision since i felt much more adequate and decided to take a 4-weeks class which costed me around 200€. Not bad for 4 hours of learning German in Berlin everyday. Having recently quit the job, i decided to go with the earliest time slot the school offers to force me to get out of bed in the morning. Starting at 9:15 am everyday, it was grammar and a lot new words for breakfast, a feeling i did not have since i was 15 or so. It did take a while to get back on track with that. Thankfully, it seems that Corinna, our teacher is used to deal with people who have incomplete understanding of german, so she did take the time to go over basic notions as well when it was needed. Being only 6-8 people in the class, there was no hiding : i am there to talk a lot, enrich my vocabulary and learn how to give more flexibility to my language. The class is usually broken down into different parts alternating between oral presentations, written exercises & just plain old discussions about current topics. The atmosphere is very casual, inviting everyone to mingle and to take part to the class. When the brain needs some fuel at the much-needed break, a little café within the school is a rendez-vous point to chat around a cup of coffee or smoke a cigarette on the terrace. You might also heard melodies coming from the open-use piano. I must say it’s quite motivating to meet all those people that are here to learn together in this atmosphere. It is far from the rigid school pupil-teacher scenario here. Only responsible adults taking it seriously. It helped me when motivation was not at the highest. This community effect is seen everywhere with invitations to parties and/or side activities from class-mates. It’s overall a great place to meet people if you are new to the city. The homework is also decent and the speed seems to be adapted to the different levels from A1 until C2. 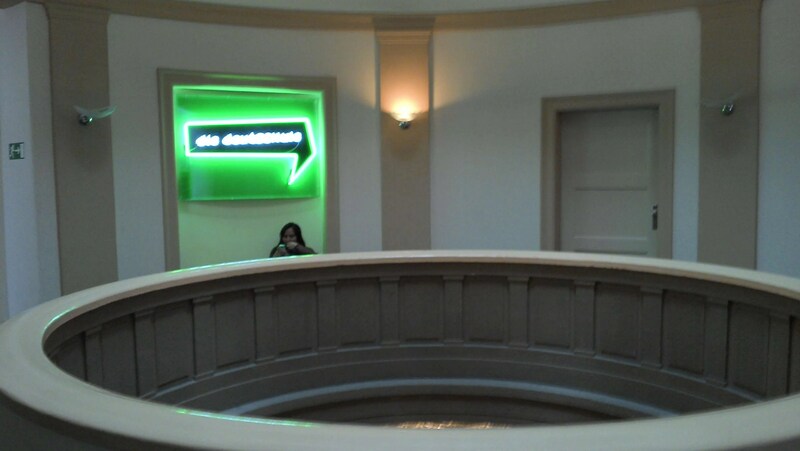 There are even special courses like “German for work”, “Conversational German” and intergration courses. After 4 weeks, i certainly did learn german a lot but more importantly; i got excited about the language again and my confidence to speak, very invigorated. It was a very good experience and put me on the right track to be fully bilingual. I’d surely need a few more months to get there though. Do ask questions about my time there or even your own experience of the school ! Disclaimer : i decided to write about the DeutSCHule because i really enjoyed my experience there and offered the teachers to talk about them in my blog. It had lived through the expectations. I did not get any money for this post but i did get a discount on the class fees. I did not go to this school because they would accept my offer in the first place. I made them an offer in the middle of the 3rd week of tuiton. How is the neighborhood Neukölln for living, our daughter will move to Berlin after finishing High School here in USA to study German for a least a year. I like the school the price is great but what about the area for a teenager (18) living alone, fun? Safe? Easy to find apartment? I hope you can give us some input on the neighborhood. 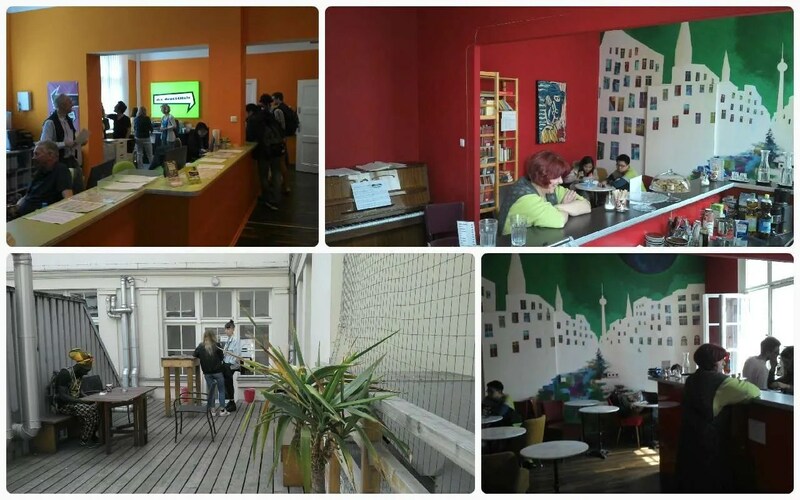 Neukölln is generally a safe place where young families and students live, as the many Kindergardens and schools in the area suggests. Now, at 3am at night, it can be another story, as anywhere in the world. You have nice areas with bars, restaurants. It’s quite lively in most places. Easy to find a flat, not really. Have you seen this page about this topic there? You can also try Wunderflats. Hello ! Nice to read about your Experience there. Can one finish a level in that 4 week time ? Say B2 ? Were you able to complete C1 In four weeks ? Hard to say. The early levels are fast to complete because they cover the basics. The higher you get, the longer the modules are too. 4 weeks wouldn’t be enough to complete C1. If you were motivated and going there with a B2 level everyday, maybe it would take 3-4 months, depending on how good you are with languages. My name is Rinkal kanani. I am from India. I have already registered in your school. I want to study B1, B2, C1 levels in your school. I have already completed my A1 and A2 levels at Goethe India. Due to Money Problem, if I pay now only one level fees, after arriving germany I will pay my other levels fees…. Just moved to Berlin and looking at language school options. Can you compare your experience at die Deutschule with what the govt. sponsored volkshochschule offers? I see 2 main differences. 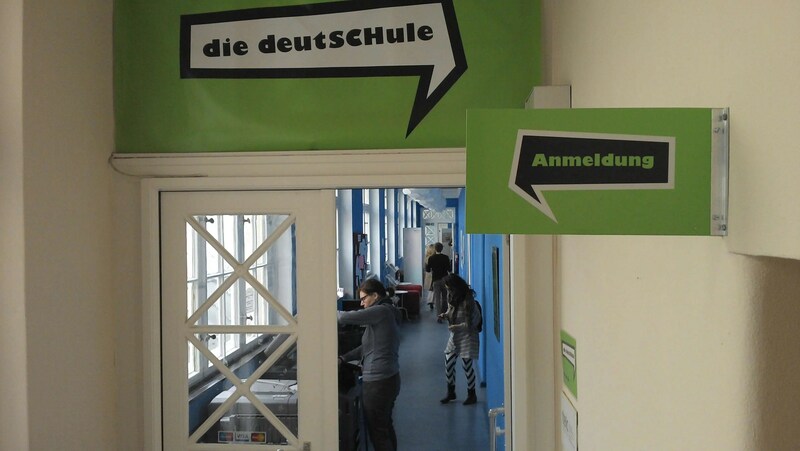 Usually smaller groups & a more incremental/distributed language levels in private schools like die Deutschule. This impacts on the learning experience. In terms of teaching expertise or style, it always depends on the teacher and whether you “click” with her/him. Both have excellent teachers but paying more at a private school might also motivate you more to get the most of it. I took a class at die Deutschule and I can’t really complain but I ended up taking a few more classes at speakeasy in F’hain and I can recommend it too. (Their page is: http://www.speakeasysprachzeug.de ,by the way) I live in Xberg, so both schools were convenient for me. I guess the flexibility, interactive and fun lessons and cozy atmosphere of speakeasy won me over. But yeah, bad and boring schools are all over the map in Berlin, good to know which schools to avoid and which to attend! I’m thinking of sending my son to pick up early German this Summer. He’ll be finishing his high school next year, 2017, here in the Middle East. He may end up studying for his college level in Austria where German is the medium. Is Berlin Die Deutschule suitable for a 16-17 year old? Will there be some safe accommodations around the school for young kids? Thank you for your post! Actually I have been looking some reviews at some different schools and I have decided to give a try to Die Deutschule. Your post came after my decition but definitely helps me to stick to that school. I am going to do an intensive course for 6 months. I like languages and I am fluent in 4 EU languages. I know German is like non of them, but do you think 6 months will help me to have at least a B1? If you are good with languages, i think 6 months with 3 hours everyday is well enough to get to B1. I am not that talented. I guess that there is some kind of synergy that comes when you master more languages. You get there faster.